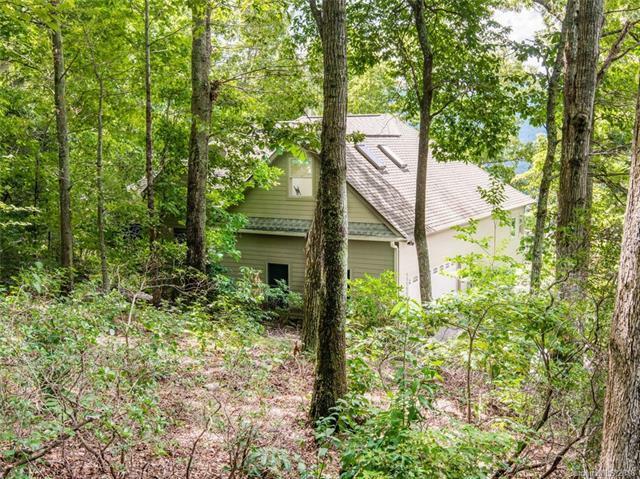 6 Red Plum Lane, Black Mountain, NC 28711 (#3367696) :: Robert Greene Real Estate, Inc.
Just minutes to downtown Black Mountain & Lake Tomahawk, this contemporary mountain home boasts sweeping mountain views from nearly every room! The welcoming foyer opens to a bright, natural light-filled living room with an open floorplan to the dining area and eat-in kitchen with granite counters & stainless appliances. Additional features include a bonus room with skylights above the garage, hardwood floors throughout, artistic main & lower level fireplaces, large master suite with walk-in closet & custom tile master ensuite, built-ins, canned lighting, propane generator & plenty of storage space. Bonus room on the lower level could serve as an exercise room, office or 4th bedroom. Main level, 2-car garage. Pre-inspected, new paint throughout the interior & newly painted kitchen cabinets.